interior Archives - reSAWN TIMBER co.
With a primary goal of revitalizing Boston’s South End neighborhood, Elkus Manfredi Architects created a design aesthetic that focuses on returning the area to a lively, dynamic mixed-use community. Drawing inspiration from former building owner–the Boston Herald–Ink Block has become a pillar in Boston’s revitalization project with classic Bostonian motifs and contemporary, edgy design features. Pizza (216), a New York style, brick oven pizzeria, is located in Cleveland, OH. 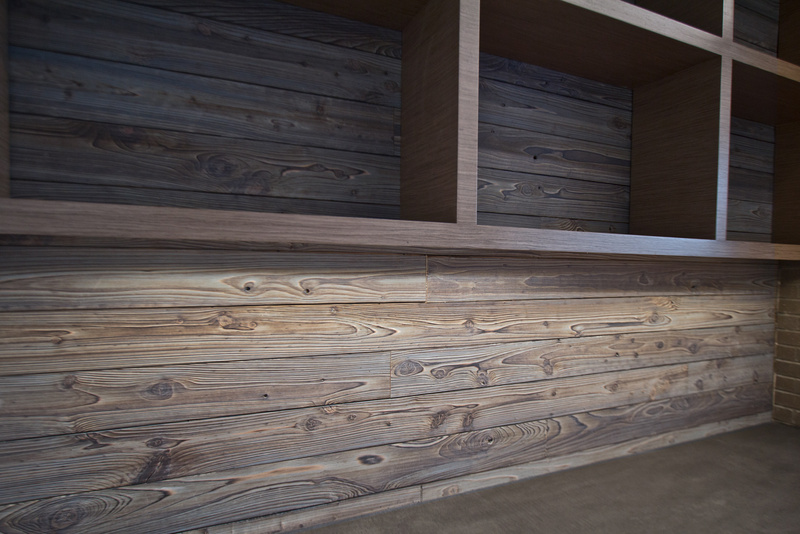 With an interior motif that sets a maroon color scheme against dark, brown seating, the dining room and bar are cohesively finished with reSAWN’s KURO shou sugi ban charred cypress wall cladding that accentuates the restaurant’s natural aesthetic. This material was specified by local and national award-winning, Robert Maschke Architects Inc., known for innovative design techniques that create “…complex spatial effects with modest means.” Materials were specified with a 5-1/8″ wide face and tongue & groove milling. 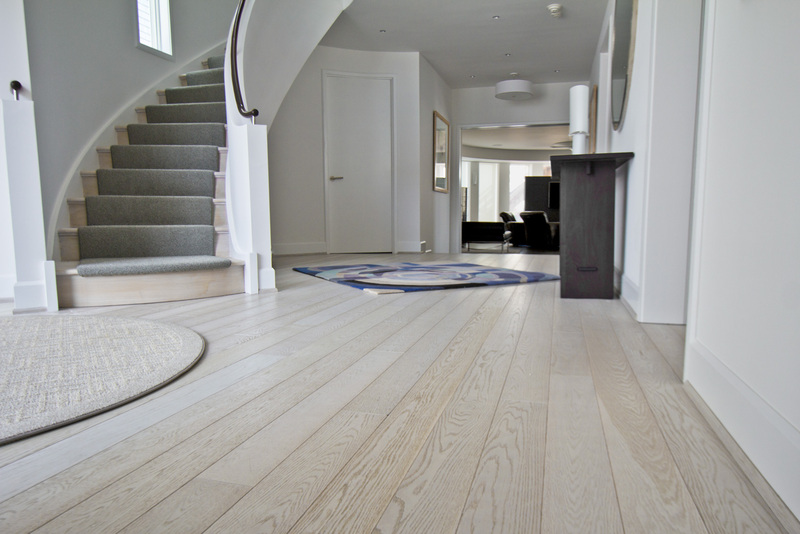 A select grade of cypress was used to ensure a high-quality look and durable functionality. Boule & Cherie is a bustling Parisian bakery serving up coffee & pastries to patrons in Lincoln Square right by Lincoln Center. Large glass windows and delicious aromas beckon you in and the warm atmosphere of wood tables and wall cladding encourage you to stay and enjoy. 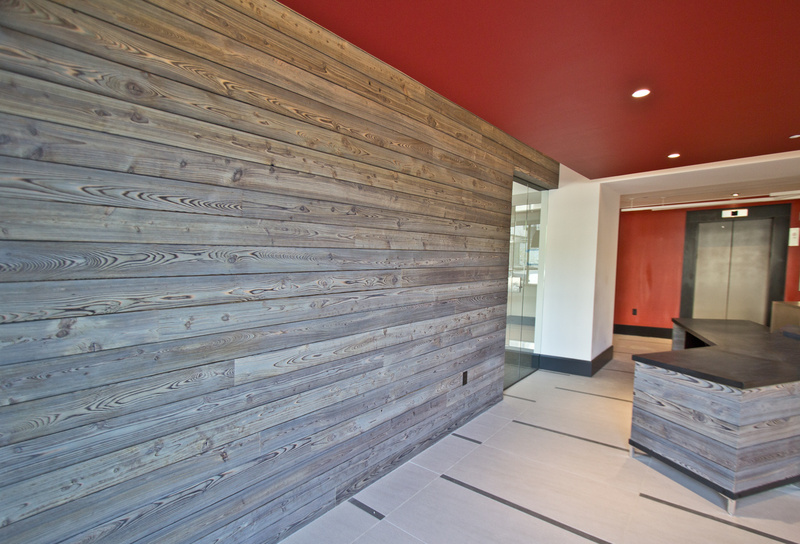 BAHND DESIGN STUDIO specified reSAWN’s WHIPPED wood wall cladding in hand scraped white oak — a match made in heaven. WHIPPED is so named for its white finish, reminiscent of whipped cream or frothy milk on a latte. The hand scraping lends texture and interest to this product from reSAWN’s RUSTIC MODERN collection . BAHND DESIGN STUDIO is an architecture and design practice founded by Amanda Beethe to develop thoughtful, modern, sustainable architecture and design. They work with absolute dedication to the context of each project, ensuring that every space speaks to its owner in their own language. Their concepts draw inspiration from the place of each project: the history, nature and culture, and incorporate that into its future form. Based in New York City, BAHND brings signature passion, curiosity and vitality to each of their projects, which have included restaurants, hotels, exhibitions, and residential design.